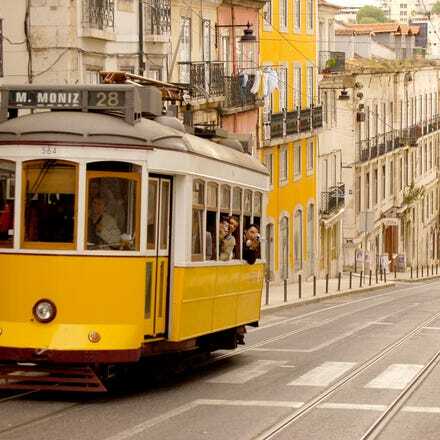 Fly to Lisbon from Dublin and experience the beautiful Portuguese capital. A historical city full of stories to tell, where the sun shines 290 days a year and the temperature rarely drops below 15 degrees celsius. Lisbon maintains an authenticity where old customs and ancient history intermix with cultural entertainment and hi-tech innovation. 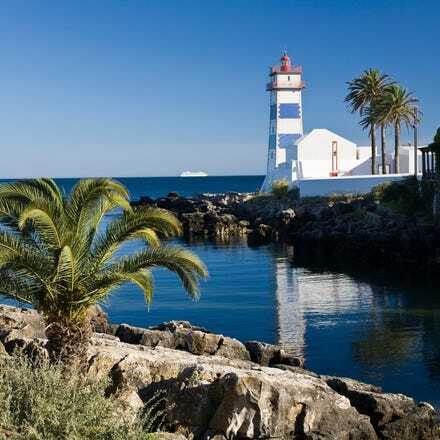 Catch a cheap flight to Lisbon with Aer Lingus and enjoy a quick and comfortable journey. There are daily flights to Lisbon from Dublin Airport Terminal 2. Once you reach Lisbon, you can take advantage of car hire deals with our travel partner, or reach the city by bus or taxi. Lisbon basks in the sun reflecting off the Tejo River and quickly seduces most visitors. The mixture of history and modernity, of small town and metropolis, of the antiquated and the shining new is irresistible. Add excellent shopping, late but safe night life and restaurants with Europe's best fish, and you have Lisbon in a nutshell. There is one airport bus (Aerobus) with two lines that operates from 7 am-11.20 pm. Aerobus line 1 connects the airport and Cais do Sodré, departing every 20 minutes. Aerobus line 2 links the airport with the financial centre, Av. José Malhoa, and departs every 40 minutes. A taxi to the centre takes between twenty minutes and a half an hour. The traffic is also somewhat higher during nights and weekends.